SNW Forum • View topic - Hiya!! I like the idea of introducing yourself on a forum So I'll follow some that went before me. 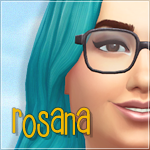 My name is Annabel, but on the Sims forums known as Lebanna (my name reversed haha). Though my boyfriend hates that nickname so he tried to convince me to use another. Annabelli it was, but unfortunately that is a name used by others a lot too. But not here! You certainly have interesting hobbies you don't see/hear every day (archery). Sounds very cool though! How did you end up choosing archery? I've never met anyone who practices archery, I think... Pretty sure haha! Well... Like I said in the intro, I love Japanese/asian sports. It started with jiu-jitsu, quit that, couple years later started with Aikido. But then I moved, and I could no longer practice, it was to expensive in my new town. So I went looking for a new (japanese) sport. And found Kyudo (Japanse archery style), had that in my mind before, but thought, he why not. Unluckily enough, that was in the town I grew up in, and moved out of So again, no go. So I settled with 'regular' archery I started in november. So still very new, but so cool! Hahah! Did you expect my half life story here? Haha well I like reading stuff like that, it's interesting xD I've only done judo and karate, and only because my mother forced me, in which case it's not fun to do But I do appreciate martial arts. I don't really stick to one sport long. Hahaha true that! Besides art/creativity in general, The Sims is my biggest and oldest hobby. I don't think it will ever change! Same! I have phases, if I can call it that. I want to draw more, but don't always have inspiration to do so. Or time. Time is a big issue. Welcome and have fun around here!